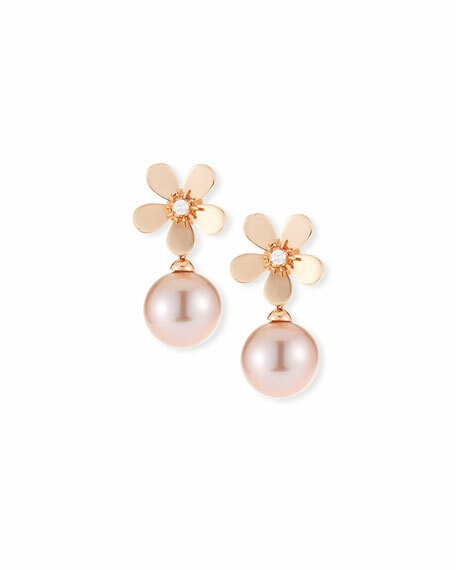 Belpearl diamond daisy drop earrings. Polished 18-karat rose gold hardware. Daisy-shaped posts with diamond center. 13mm naturally hued freshwater cultured pearls. 0.11 total diamond carat weight.